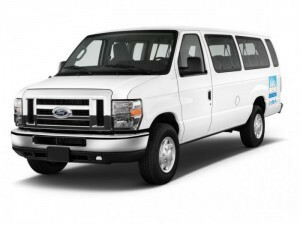 The superiority of our shuttle service out of the downtown Miami and Miami Airport area hotels to most other ground transportation in Miami, has to do with the great overall value, the safety, cleanliness, newer vehicles, timely schedules and lower pricing. The downtown Miami and Miami Airport area hotel shuttle goes out on an hourly schedule every day, starting as early as 10:00 am. Reservations in advance are required for services, and there is a 2 piece luggage limit per passenger. Additional luggage capacity is available for an extra charge. Please select where you want to go in South Florida from the shuttle service drop off locations below and go to the link for rates and more information on the shuttle services. If you are looking for shuttle services going into the Miami Airport Hotels or Downtown Miami, see the chart on the right for shuttle service rates and information from the pick up location options in South Florida that go into the downtown Miami and Miami Airport Hotel area. Have questions? Take a shared superior shuttle ride going from downtown Miami and Miami Airport area Hotels to Port of Miami Cruise Terminal and save! Follow the link for shuttle rates. Take a shared superior shuttle ride going from downtown Miami and Miami Airport area Hotels to Port Everglades Cruise Terminal and save! Follow the link for shuttle rates. Take a shared superior shuttle ride going from downtown Miami and Miami Airport area Hotels to Miami International Airport and save! Follow the link for shuttle rates. Take a shared superior shuttle ride going from downtown Miami and Miami Airport area Hotels to Fort Lauderdale Airport and save! Follow the link for shuttle rates. Take a shared superior shuttle ride going from downtown Miami and Miami Airport area Hotels to anywhere in South Florida and save! Follow the link for shuttle rates. If you have any questions or concerns, please do not hesitate to contact us at 954-600-1562, or by using the contact us link. We would like to make sure that your trip will be pleasant throughout, and you have the peace of mind you deserve. Thank you sincerely for your support.